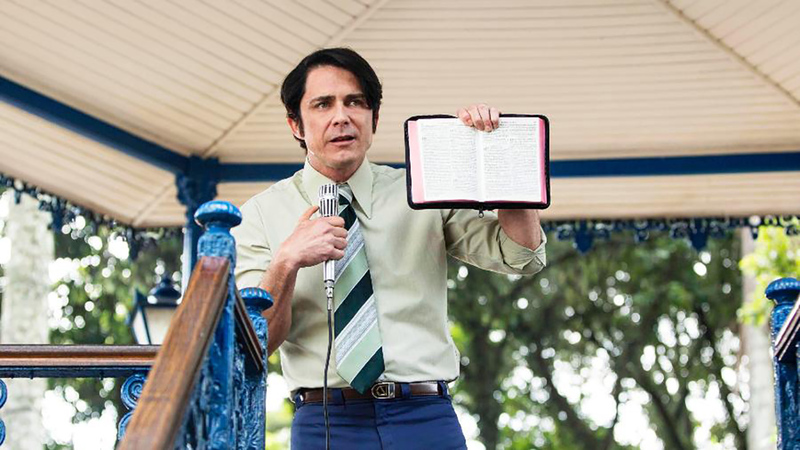 The biopic ‘Nothing to Lose’ (‘Nada a Perder’), about the life of controversial religious leader Edir Macedo, founder of the Universal Church, was conceived from the beginning as two movies. With four million tickets sold at pre-order, it’s already number one at the national box office for 2018. The story encompasses various decades (from the ‘50s to the present day) and has scenes shot in various countries (including Brazil, Egypt, Israel, South Africa, and the United States). Due to such colossal logistics, production decided to shoot both movies together, an unprecedented endeavor in Latin America. To accomplish this feat, the crew spent more than 90 days shooting; all scenes were shot with at least two Alexa Mini cameras using anamorphic Cooke lenses. 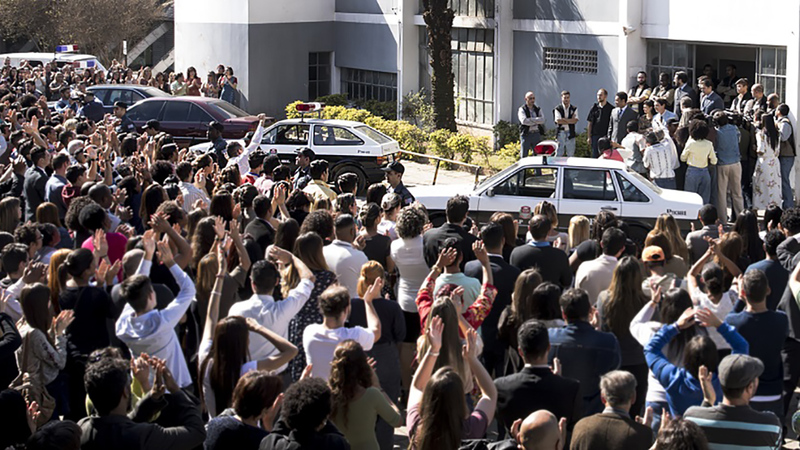 The most complex sequences, like the police ambush and arrest of the protagonist (Film 1) or the inauguration of the temple in South Africa (Film 2), would rely on up to six cameras. At the stage I entered the project, half of those dailies had already been shot. In order to hasten the process without losing focus, I had assistant editor Maki Shintate working literally side by side with me. 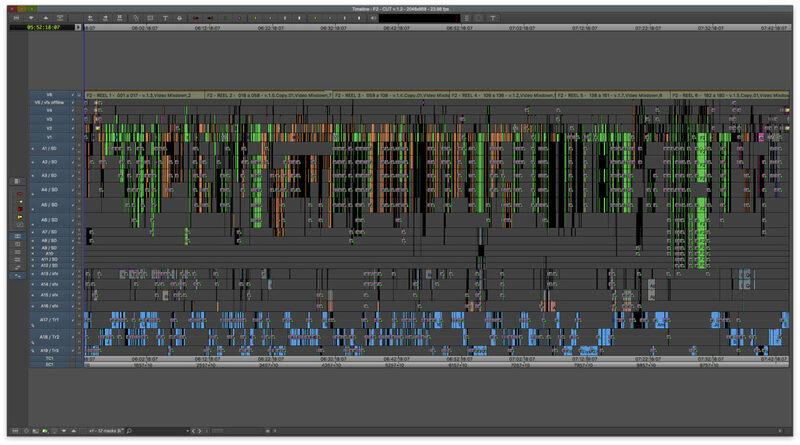 We spent a whole week just organizing the Avid Media Composer project, separating the footage by shot and scene. Above them hierarchically were two folders, one for each feature film. There was also an extra folder just for stock footage and archives from the Brazilian news, all of which would permeate both movies. 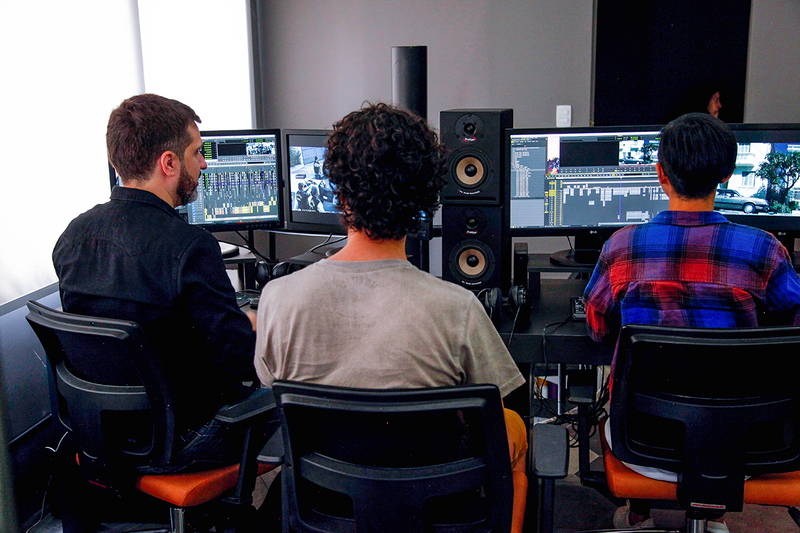 The 4K footage was all converted to DNxHR LB for offline editing. The 2.39 scope format, on-set color correction, and constantly exporting edited scenes to producers and the director all begged for a higher-resolution format. Fortunately, Avid provides that low-bitrate codec to a proper 2K offline – better than the usual DNxHD 36 or 115 for a 1080p resolution. All hardware was very new and there was a good storage system and network, so we could afford to take this step, and the whole team benefited from a better resolution offline. When everything seemed to be going smoothly, the producers decided to advance the release of the first film by ten weeks. 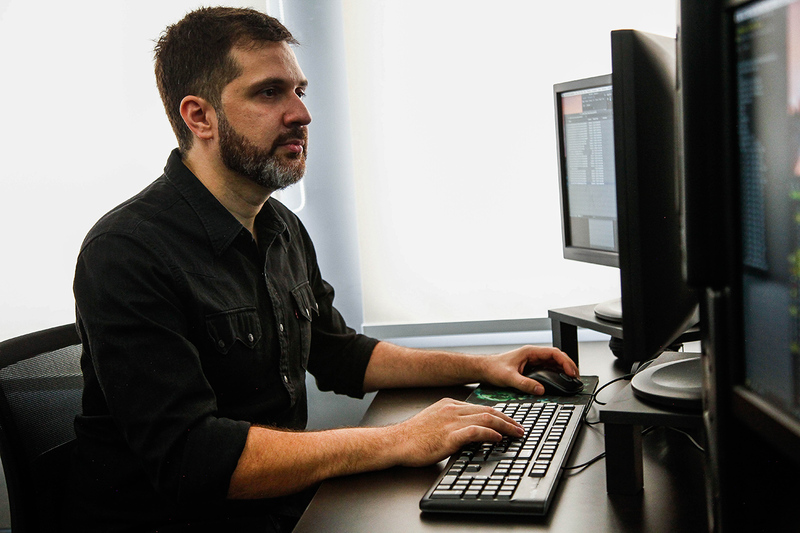 Thus, it was crucial to bring second editor assistant André Vital into the cutting process. Once all organizational parts were completed, Maki would focus on doing pre-cuts, while André handled the stock and archive footage and helped me tackle the researching and editing of temp scores. 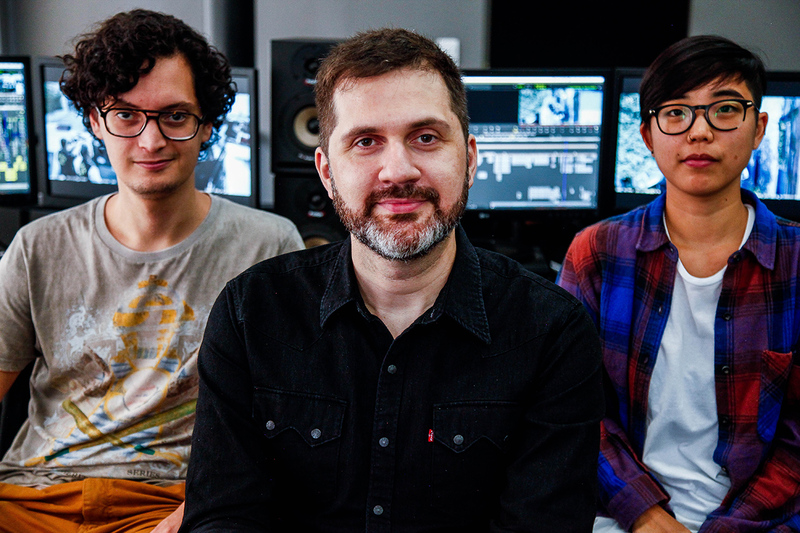 With the first cut of the first film pre-approved, I sent it to PH Farias, an editor based in Rio de Janeiro. His job was to fine-tune the cut alongside Alexandre Avancini, the director. All DNxHR converted media had been sent to me and my team in São Paulo, and to PH in Rio de Janeiro. All I had to do was email him a single Avid bin, and he could then start working immediately. In parallel, my assistants and I would start working on the second movie. Each one of these first cuts took approximately 10 weeks before being sent to Rio de Janeiro. Once there, the final cut of the first film was achieved in the stunning time of one month. Ultimately, cutting the film ‘Nothing to Lose’ was successful because of our well-oiled team, all working in a rock-solid NLE, Media Composer. I’m a film editor, although I graduated with a degree in advertising. Before graduating I was cutting everything from video clips to commercials for big clients, and now I’m in the movie industry. Since that time I’ve constantly used Avid Media Composer.